For occupational health nurses to complete their training, a practice teacher must supervise them in practice. But resource and time constraints are making it increasingly difficult for nurses to secure practice placements. Three practice teachers, Su Chantry, Rachel McLachlan, and Heather Wawryka, reflect on the rewards and challenges of their role. “The mediocre teacher tells. The good teacher explains. The superior teacher demonstrates. The great teacher inspires.” (William Arthur Ward, 1921-1994). In order to practice effectively and promote professionalism and trust, nurses and midwives have a professional duty to mentor (NMC, 2015). Teaching and mentorship can be the most rewarding aspects of a practitioner’s role, as Ward highlights; an excellent teacher inspires those they teach to aspire to become expert practitioners. According to the Nursing and Midwifery Council (NMC), a mentor is an experienced nurse or midwife who has successfully completed an NMC-approved mentorship preparation programme and has met the domains and outcomes at Stage 2 of the Standards to Support Learning and Assessment in Practice (SLAiP) (NMC, 2008). These standards set out the domains and outcomes for all mentors, practice teachers and teachers of nurses and midwives. For occupational health (OH) nurses to complete a course of study to achieve the Specialist Community Public Health Nursing Qualification (SCPHN), a practice teacher (PT) must supervise them in practice. The NMC stipulates that practice teachers must demonstrate that they have successfully achieved the domains and outcomes of Stage 3 of the SLAiP standards and must have gained the knowledge, skills and competence in their own practice and also in teaching. Concerns about the quality of current OH education have recently been well documented. It is increasingly difficult for nurses wishing to make a career move into occupational health nursing to secure a practice placement and a teacher who is prepared to support their learning. In 2017 a report by the National School of Occupational Health (NSOH) identified gaps and inconsistencies in the provision of OH nurse education across the UK. It is apparent that change is afoot and, with the NMC about to review the SCPHN register later in 2018, the future is unknown. What is clear, however, is that OH nurses will continue to require supervision and mentoring in practice, and there will still be a requirement for teaching in practice. This article, written by three occupational health nurse practice teachers, incorporates their reflections on their role as practice teachers on completion of the NMC-approved practice teaching module offered at the University of The West of Scotland. The decision to embark on the practice teacher programme of study was not made in haste. On completing the enrolment process, I developed feelings of pride and excitement to fear and self-doubt. During my period of reflection it became clear I had a vast amount of knowledge and experience and, through using this, I would be supporting an OH student to achieve the competencies required of the SCPHN qualification and gain successful registration on Part 3 of the NMC register. Reflecting on my studies throughout the course I concluded the term PT could be perceived negatively – possibly authoritarian. For the student/PT relationship to be conducive to learning, a good rapport needs to be built very early during the student’s learning journey. Rasool & Rawaf (2007) stated that differences in practice teacher teaching style and learning style can be disastrous. It was as a result of this knowledge that I decided to assess my own style and encouraged my student to do the same; this enabled me to tailor learning opportunities that were more realistic and achievable. Finding a student to support was surprisingly easy. It is widely acknowledged that there is still a shortage of PTs (Kelsey, 2015). I acknowledge there were challenges throughout the PT programme of study and at times I questioned how I would succeed. Balancing full-time work, parenthood and studying appeared incompatible; however, this also allowed me to reflect and empathise on the same challenges my student was facing. Hurdles that I needed to overcome included transitioning into this new role, facing my own self-doubt and guaranteeing the necessary protected study time. Studying distance learning also has its challenges. I considered myself fortunate in that I knew I had the support from my own PT assessor and I was also able to build friendship from another PT student studying on the course – we referred to each other as virtual buddies. This support was invaluable, and something I would encourage other student PTs to consider. Quite importantly, my own student was motivated to learn and already had some experience in OH practice. I was able to draw on my own academic and personal experience and help her identify some potential challenges that she may face throughout her learning journey. This ensured a two-way process, a concept that is supported by Knowles, Holton and Swanston (2005). Studying distance learning as a concept is a realistic way to facilitate learning alongside employment. It is apparent, however, that, if students are not motivated to learn, the distance learning route can become isolating. This reinforces the need to fully engage with the university staff, the PT assessor and fellow students. As part of the PT process, I developed a learning contract and learning needs analysis with my student. This enabled us both to identify gaps and learning opportunities and agree expectations. In hindsight I underestimated the purpose of these key tools. However, I now realise their importance and consider them a “living document” that will be revisited at regular intervals. This is also a thought confirmed by the University of Waterloo (2015). The SCPHN competencies were reviewed with my student at regular intervals and learning opportunities formulated. In doing so it became apparent that my student’s workplace did not appear to embrace the wider practice of OH, as some of the agreed learning opportunities could not be achieved in her own workplace. The requirement to share knowledge is a valuable exercise. Benner et al (1982) as cited by English (1993) discussed the novice to expert concept – the journey that students embark upon enabling some to reach that “expert” status. On reflection we were both on this journey actively participating in formal reflection. There is no denying that the journey of a practice teacher is a demanding one. 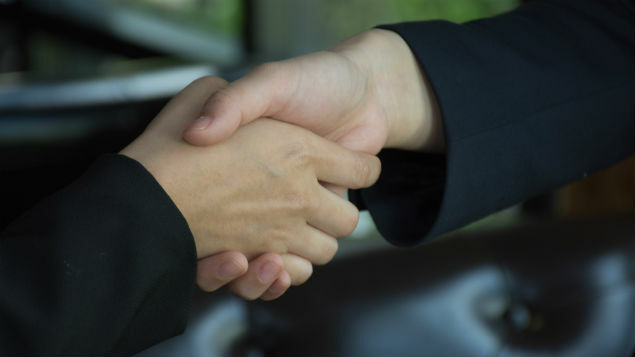 However, the benefits both personally and professionally clearly outweigh any challenges. I firmly believe the role of a practice teacher is crucial to the future of occupational health nursing. Whatever the NMC-proposed changes may bring, I consider myself to be in a very privileged position indeed being a practice teacher in such a rewarding career within occupational health. Embarking on the PT course was a big step. I had previously mentored students but believed being a practice teacher was the correct move forward in my career. I also had a reasonable wealth of knowledge and experience that could be passed on to student OHAs. The NMC has indicated that mentoring and supporting students is an important role, and that a practice teacher should be a competent expert who meets the required NMC outcomes through further education (NMC 2008). Prior to commencing the course I ensured my own practice and knowledge base was up-to-date. Researching and finding a suitable course was quite straightforward. I chose to complete the course via e-learning (distance learning) as it fitted in with my work commitments and lifestyle. It also meant I didn’t have to take time away to attend college. Even so, there are obligations prospective students and employers must support, such as the protected learning time. I had to be extremely disciplined to study and, as a distance learner, I had to demonstrate to my tutor that I was progressing and developing my practice teacher skills and knowledge. Dallinger (2013) believes that there is no one learning process that fits all and each training programme should be assessed and evaluated to establish its effectiveness in its delivery and efficacy of learning. Meeting the necessary entry requirements was more difficult than I had thought; one of the challenges being that I had to seek out an already-qualified practice teacher to oversee my training as well as supervise my student ‘sign offs’. These practice teachers face similar work constraints and have their own workload responsibilities. E-learning can have its challenges. I believe it is essential to establish a rapport with a fellow student very early on and develop a “virtual friend”. The virtual peer support and the interaction we developed was invaluable in helping to discuss and develop our new-found skills and knowledge as well as supporting each other when we felt isolated. Supporting my student was extremely rewarding. It was quite clear she was motivated and already had good clinical skills as well as being able to relate her theoretical knowledge to her clinical practice. My role was to ensure that I built on what was being learnt, while enabling her to develop different clinical skills and grow even further. Willis (2015) believes students enhance their learning and self-respect while being guided and encouraged to develop throughout their training. It must be remembered that student OHAs are qualified nurses and bring a wealth of knowledge and skills to the specialism. As her PT, it would be my role to identify and build on her strengths and weaknesses as she developed through her SCPHN (OH) course. Clear boundaries were identified and agreed upon early on and built into a learning contract and learning needs analysis (LNA) that was developed. The NMC Code of Conduct states that the practice teacher, as a registered nurse, must facilitate students to develop their competence (NMC 2008). On reflection, it was quite clear that, once I understood the myriad of learning theories and processes, how they complemented each other rather than being used separately. Developing a learning framework, which was conducive to my student as well as my own learning pathway, was also essential. Completing the practice teacher course has provided me with added stimulus and a new dimension to a career and vocation that I value. It is well documented that the quality of a learning environment has direct influence on the effectiveness of learning (RCN, 2002) and practice teachers have a role to facilitate the tripartite responsibility (student, HEI and placement provider) which ensures that a student’s placement is conducive to learning (RCN, 2005). In the UK there are similar numbers of OH physicians and nurses as in Finland which has only one tenth of the UK population. To put it simply “there are just not enough [qualified] OH practitioners around” (Paton, 2008). Is it little wonder that this shortage of qualified OH practitioners leads to an additional challenge for student OH nurses to find a PT to assist them in qualifying? Despite the need for PTs to be clinically active in placement to supervise and assess students completing their OH programmes (NMC, 2008), the availability of qualified PTs remains an ongoing issue. Ruth-Sahd (2003) highlights the complexities of identifying a practice teacher who is ‘expert’ and ‘competent’ enough to supervise a student, and how the PT can use that knowledge to facilitate effective learning. In order to facilitate effective learning the practice teacher needs to have the time to maintain expert competence in order to support learning; indeed it is one of the NMC standards (NMC, 2008). The challenge in the context of OH practice teaching is the competing demands of an employed role and delivery of OH practice. This makes time management one of the most challenging areas. Indeed, in the private sector most OH services work to business service level agreements, these are usually time-, target- and financially-driven. This model does not support generous study leave or time free to support students, thus adding further pressures. Although there is little evidence to identify whether these challenges exist – there is no research to support these assumptions – practice experience, anecdotal evidence and discussion with colleagues does suggest that this is a problem for many. There can also be barriers in supporting students within private sector service provision organisations. For example, student OH supervision is not factored into service level agreements. Time management can be a challenge at times. For example, learning experiences are dependent on the practice teacher’s input and being able to focus on the student where needed, as well as juggling practice with learning (Fowler, 2008). Enabling the OH student to test out ideas and assumptions of learning with review and analysis in a safe and supportive environment assists the learning experiences (Gopee, 2010). Feedback needs to be appropriately timed. Opportunities to share structured feedback at the end of each clinic/client consultation enables discussion at the time of the experience. However, all this is not always practical in the busy demands of OH practice. Time factors are often cited as a barrier to supportive learning /teaching. Nursing research provide little evidence regarding the characteristics and capabilities required by practice teachers to competently perform in their role. Grealish (2010) reports that a combination of skills is required to support educational facilitation, the core being interpersonal and communication skills. Bradshaw (1998) explores what constitutes a competent nurse in educational philosophy, and believes that nursing education is seen as “romantic” as it involves co-operation, self-evaluation and self-directed learning. This is a vague definition of competence and is not receptive to objective measurements. Bradshaw states that: “It seems within the current ethos of professional education the nurse does not know what she does not know because she does not know what she ought to know.” (Bradshaw, 1998, pp.105). Andragogy relates to the methods and practices used in teaching adults. Adults have control over much of their learning experience and must be motivated to learn. In assessing the learning needs of a student, the PT must have an understanding of the process of learning. This includes considering the student as an adult learner with unique characteristics so that the level of teaching may be focused and pitched appropriately (Downie & Basford, 2003). The route to competency needs to be auditable in accordance with clinical governance (Duffy & Irvine, 2004). The PT needs to ensure a robust and transparent process for managing those who do not meet the required standards. This ensures that any student who fails to meet the required outcomes is not “passed” merely because the PT feels uncomfortable in acting on findings (Duffy, 2003). Gainsbury (2010) identified that nurses are still “failing to fail” poor students. This difficult element of practice teaching can be a potential challenge to encounter and one many may avoid by merely not putting themselves into the Practice teaching role. The student and PT should have adequate preparation and support for “breaking bad news” (Duffy, 2003). Academic centres also need to ensure that their practice teachers are supported in this potentially challenging aspect of the role. In conclusion, the challenges associated with the process of becoming a practice teacher are compounded by a number of factors. Within this, the lack of empirical literature related specifically to OH practice is an ongoing challenge. 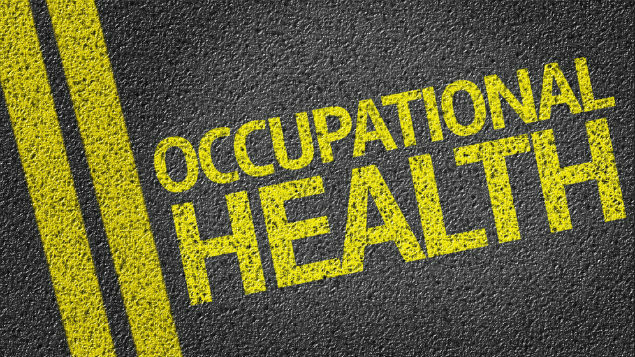 The National School of Occupational Health recognises the need for a strategic development for training within occupational health and has been engaging in dialogue with current PTs to gather a body of practice-based opinion. The vision is to “inform a future quality management strategy for educating the OH professionals of today and tomorrow” (Harrison, 2016). This could provide the opportunity to formulate a more empirically-based model to support PTs in future practice. Thus PTs are in a key position in occupational health to use practice experience to inform research, apply and undertake evidence-based interventions, evaluate their own practice, and publish research findings to improve their practice throughout the specialty. On a more personal note an additional challenge for me was the lack of time available and resources to perform training in the workplace. In reality, PTs can be overwhelmed with caseload and direct service provision business demands; this has the potential to cause time management issues for a PT in practice. Although the theoretical support that PTs can provide their students can usually be managed outside of work time, these time pressures associated with supporting a student could explain the current issues related to the low number of OH PTs. It should be emphasised, however, that, despite some of these practical challenges PTs face, teaching an OH student can be a rich and rewarding aspect of the role. It is an opportunity to share clinical expertise, providing an opportunity to influence student success and shape the next generation of OH practitioners. It is clear from the three reflections presented in this article that there are essential qualities, attributes and characteristics required to becoming a practice teacher. Through fulfilling this role, can be one of the most rewarding components of a qualified-OHN’s professional responsibility. PTs can help to motivate students, increase their confidence and self-esteem, and develop their knowledge and skills to become a competence practitioner. All this can be very rewarding. However it also needs to be a reciprocal process in which both parties are engaged and committed. Su Chantry BSc Hons SCPHN (OH) Queens Nurse is OH manager at Williams Grand Prix Engineering, Rachel McLachlan SCPHN (OH) is occupational health advisor at PAM Occupational Health, and Heather Wawryka SCPHN (OH) is senior occupational health advisor at TWI OH Services. 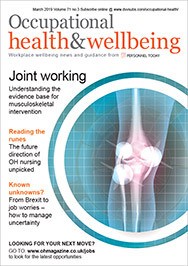 This article was also edited by Marisa Stevenson M.Ed, PGcertTLHE, BSc, SCPHN (OH), RGN, FHEA and course director, SCPHN Occupational Health Nursing and Practice Teacher courses, University of The West of Scotland. Knowles, MSS; Holton, EF; and Swanson, R.A. (2005). “The Adult Learner: The definitive classic in adult education and human resource development” 6th ed. Amsterdam: Elsevier Butterworth Heinemann. Nursing, Midwifery Council (2015). “The Code, Professional standards of practice and behaviour for nurses and midwives.” London, NMC.